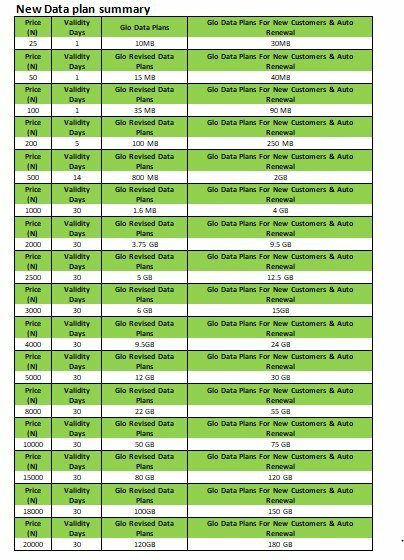 Glo after unveiling Jumbo sim that comes with N200,000 worth of airtime and additional Everyday Bonanza, Glo said it's not yet over and introduced more data plans hashtagged #GloUnfairAdvantage. What's Glo Unfair Advantage all about? 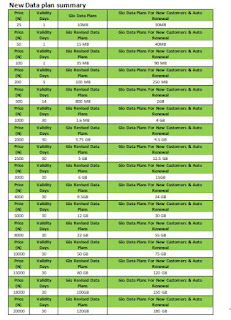 It's the latest data offer from the network that gives you more value for less money. This offer gives you 50% extra data, double the value of your subscription when you auto-renew your data bundle before it expires. Let's take for instance; normally, N1000 will give you 1.6GB data, but when you auto-renew the plan, you’ll get 4GB instead. Interesting right? Recharge of N3,000 gives you 15GB and recharge of N4000 gives you 24GB when you auto-renew. All you need to do is to auto renew your data plans and you’ll enjoy the unfair advantage for all Glo prepaid and postpaid subscribers. Alongside the Unfair Advantage, Glo also announced some other mouthwatering offers of which free YouTube package is among. Glo free Youtube package is a new offer that lets you stream Youtube videos from 1AM - 5:30AM everyday till the current active data plan expires. All you need to do is to renew your data plan from N500 and above to be eligible for this offer. iFlix is just like Netflix; it is the access to the app/site that is free as like all streaming site like Netflix, Hulu etc. You need data to watch/download. To opt-in for this offer, sms the word Buzz to 105. This offer is really tempting only if their 3G network is strong like a rock in my location. I just pray they look into this in the future rather than spending money on unnecessary adverts and brand ambassador endorsement. Yeah like you said, let them first and foremost fix their extremely poor network coverage. There's no point dolling out so called mouthwatering offer when it is completely unusable. Right now, no matter how attractive their offer is I wouldn't try it. 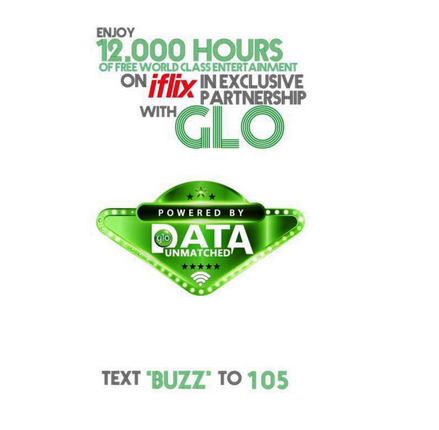 so must i text buzz to 105 to be able to enjoy data at this rate .?? Glo is always there for their subscribers. Glo rule the world, this is nice.